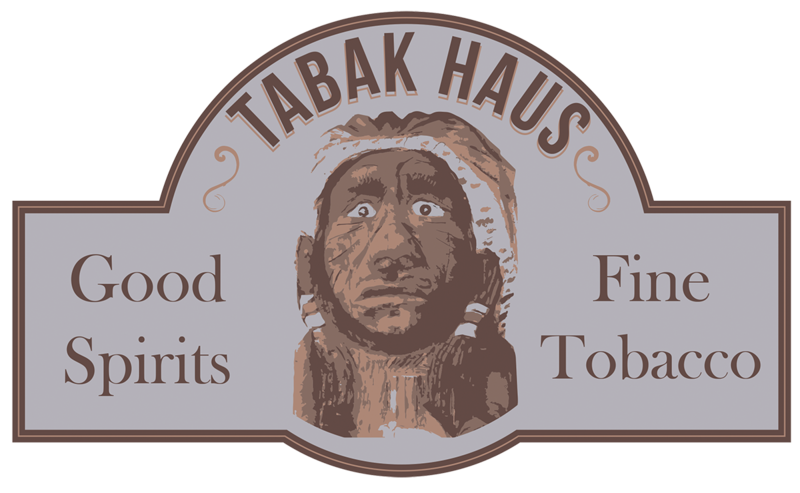 Tabak Haus delivers a full bar experience with a premium assortment of Bourbon, Scotch Whisky, and other fine spirits. 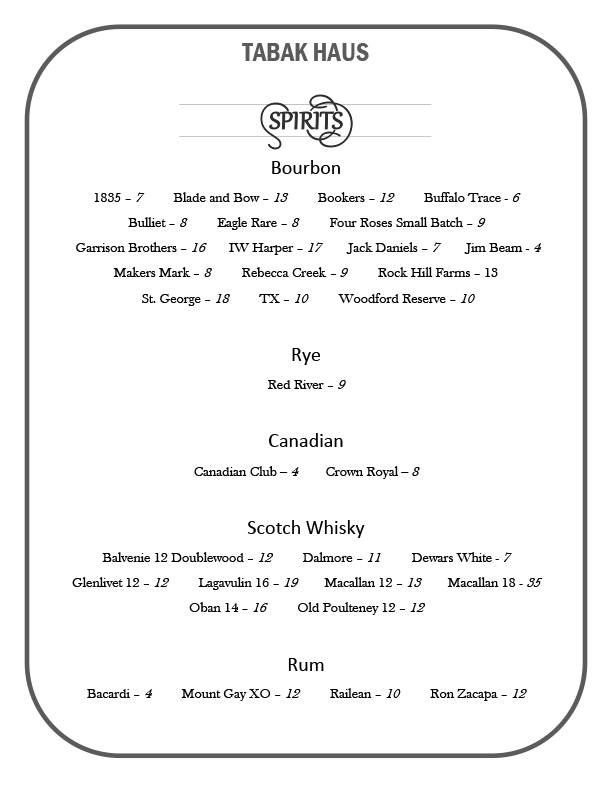 Drink them neat with your favorite smoke or add ice and mixers to suit. 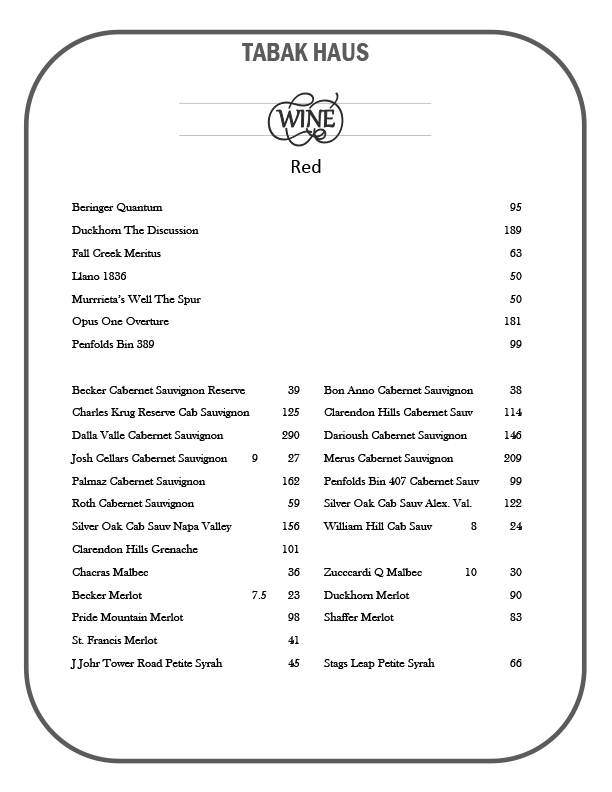 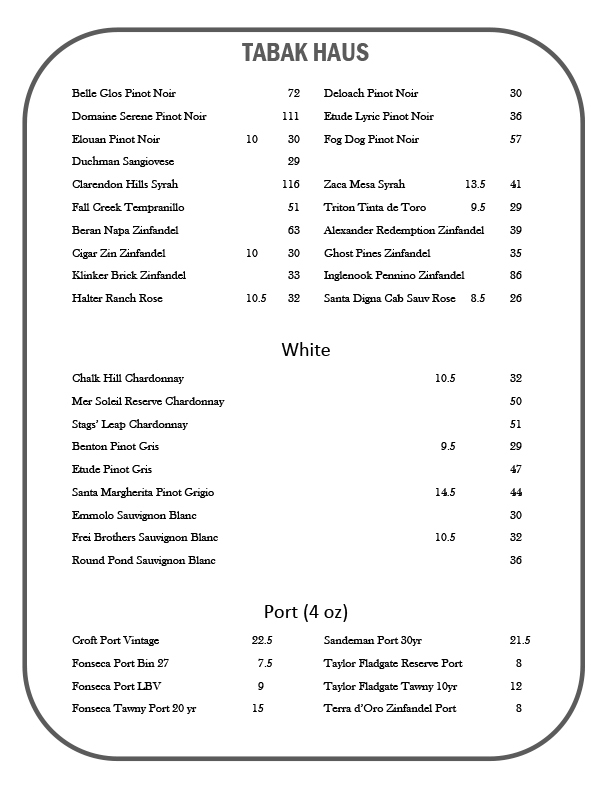 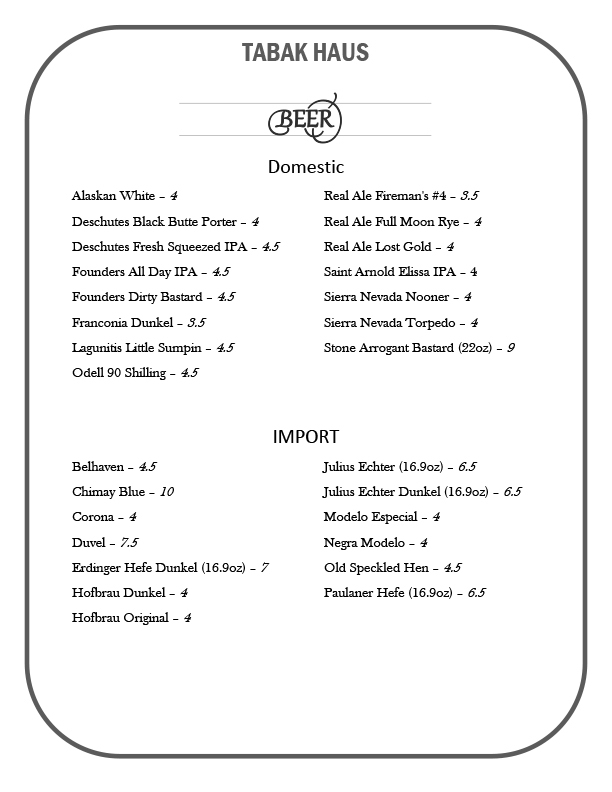 Or choose from one of our hand-picked Texas and international wines, beers, and ports.